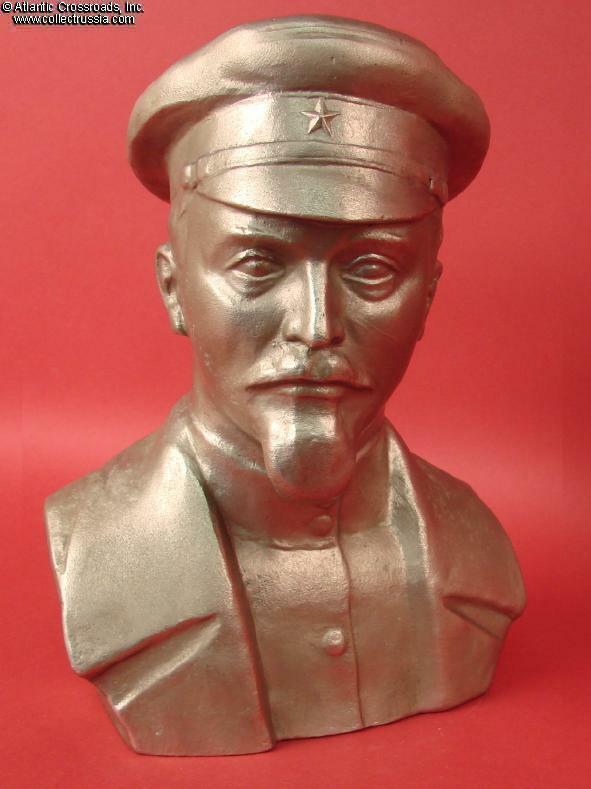 Bust of Feliks Dzerzhinsky, founder of the Soviet Cheka Secret Police, dated 1984. In Silumin alloy; 9" tall, 5 1/8" x 3 1/2" base. 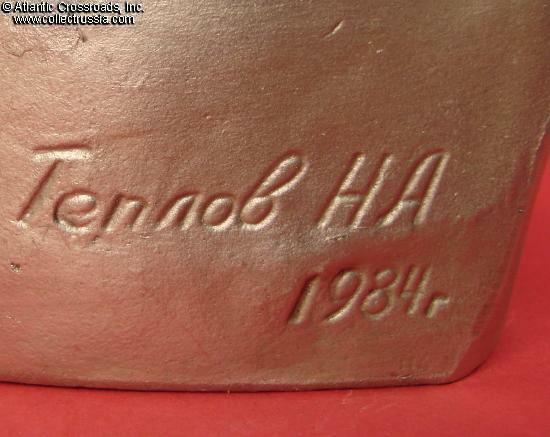 Created by N. A. Teplov - the name of the sculptor and date are inscribed on the back. 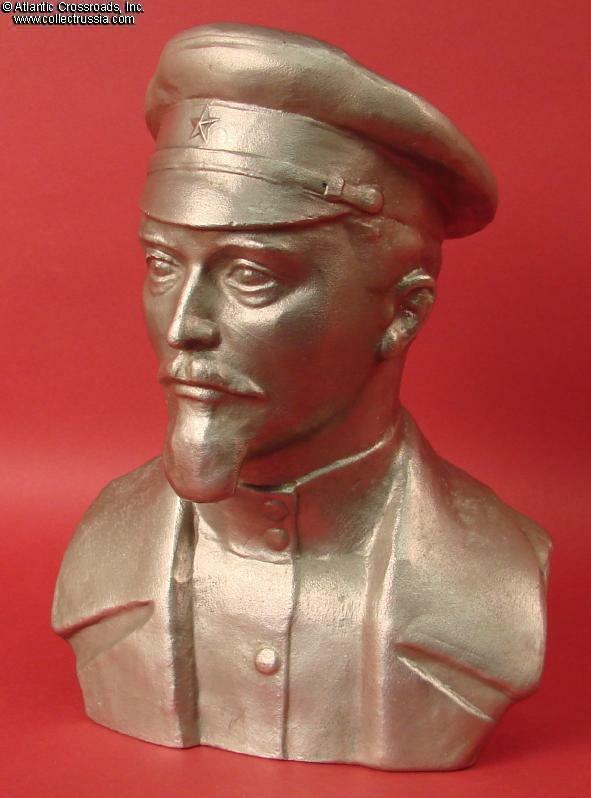 This is a relatively uncommon portrayal of the "Iron Felix". 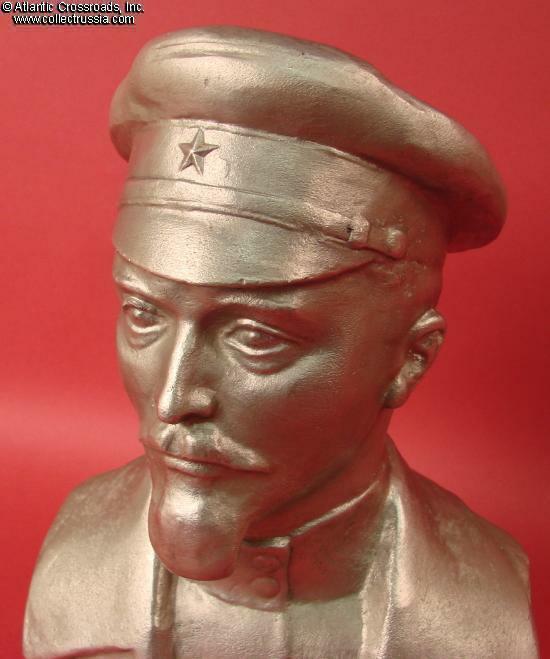 The bust shows him in an overcoat and hat, wearing a gimnasterka shirt. In excellent condition. 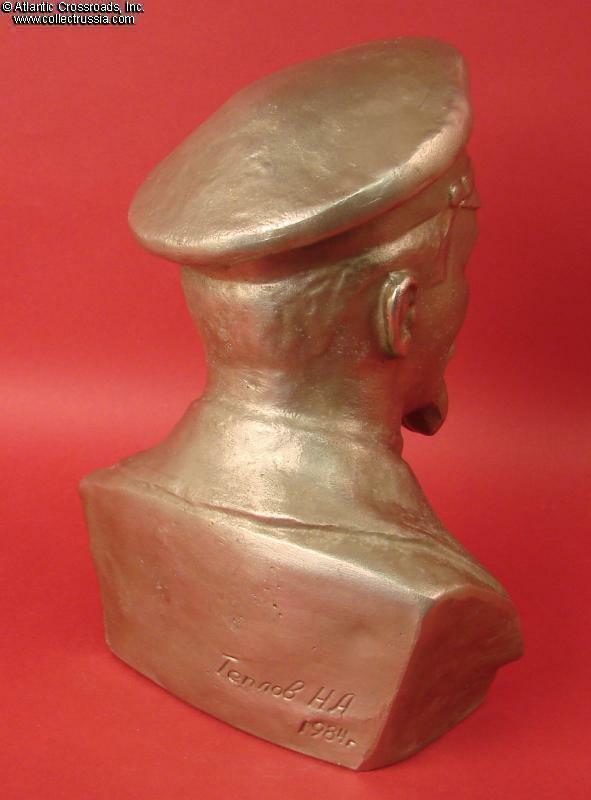 The bust is completely free of wear, scratches or scuffs. Dzerzhinsky was the founder and chief of Soviet secret police (Cheka and, later, GPU) and one of the prime architects of the "Red Terror". His zeal in defending the Revolution inspired generations of secret policemen in virtually every socialist country.